Derdack | Enterprise Alert® 2017 is available now! Derdack, leading provider of anywhere incident notification and response solutions, announces the next major release of their flagship product, Enterprise Alert®. Enterprise Alert 2017 is another milestone in enabling enterprises and organizations to respond faster and more effective to technical incidents in IT, OT and IoT. Enterprise Alert® is used by hundreds of enterprises and public sector customers in all verticals to centralize and automate critical alert notification workflows and to provide anywhere response and resolution capabilities. Enterprise Alert® leads to significant improvements in mean-time-to-repair. 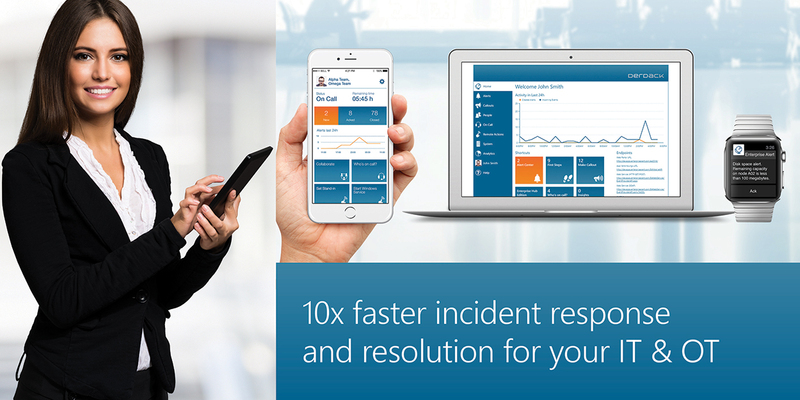 It enables a 10x faster response to major incidents in mission-critical systems. Derdack’s software supports on premise and private cloud installations. It will also be available from theMicrosoft Azure Marketplace and on Amazon Web Services by July 2017. To learn more about Derdack’s solution for automating incident alerting and for anywhere response and resolution, please visit www.derdack.com. We also invite you to join Derdack at booth 328 at HPE Discover on June 6-8 in Las Vegas or at the Gartner IOM Summit, booth S2 on June 12-13 in Berlin, Germany. You would like to learn more about EA 2017 first-hand? Join Derdack’s CEO Matthes Derdack and R&D Team Lead René Bormann presenting the 2017 generation of Enterprise Alert®. The release webinar will introduce you to all benefits of the new product version and will provide an online demo of all brand-new features live from our Derdack headquarters. Follow the link to add the Release Webinar to your calendar!